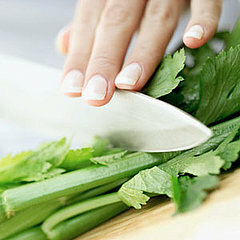 Celery protects your teeth in two ways. The extra chewing it requires produces plenty of saliva, which neutralizes the bacteria Streptococcus mutans that causes cavities. Additionally, chomping on naturally abrasive foods massages gums and cleans between teeth. Studies from the last decade show that cheese, with its low carbohydrate and high calcium and phosphate content, provides several benefits for your teeth. It helps balance your mouth’s pH (an acidic pH encourages the growth of cavity-causing bacteria). Cheese also preserves and rebuilds tooth enamel and produces saliva, which kills the bacteria that cause cavities and gum disease. Green tea contains substances called catechins that kill the bacteria in your mouth that turn sugar into plaque. Catechins also wipe out the bacteria that cause bad breath. For their size, kiwis pack more vitamin C than any other fruit. In fact, one large kiwi supplies more than 100 percent of your recommended daily amount. If you don’t get enough vitamin C, research shows that the collagen network in your gums can break down, making your gums tender and more susceptible to the bacteria that cause periodontal disease. Chewing parsley or mint leaves after a pungent meal will help you maintain sweet-smelling breath. These herbs contain monoterpenes, volatile substances that travel quickly from your bloodstream to your lungs, where their odor is released via your breath. Seeds slough off plaque and help build tooth enamel. Sesame seeds, for example, are also high in calcium, which helps preserve the bone around your teeth and gums. A 2000 study in Caries Research showed that lentinan, a sugar found in shiitake mushrooms, prevents mouth bacteria from creating plaque. Otherwise known as Japanese horse-radish, this condiment not only provides zing to sushi, it also protects your teeth. A 2000 study in Biofactors revealed that the substances that make wasabi taste hot, called isothiocyanates, also inhibit the growth of cavity-causing bacteria. Drinking water keeps your gums hydrated and is the best way to stimulate saliva–your body’s greatest defense against the bacteria that cause plaque and cavities. Rinsing your mouth with water also helps wash away trapped food particles that decompose in the mouth and cause bad breath. (803) 781-9090, or contact us online.